Looking for a pattern to get started with redwork embroidery? Technically, any pattern can become redwork by simply stitching the entire design with red embroidery floss, but some patterns are designed with single-color embroidery in mind. And this selection of redwork patterns fits that description. Of course, redwork gets its name from working in red embroidery thread, but you don't need to limit yourself to red. Bluework is also a thing, but as you'll see, it's okay to use any color you like...including variegated thread! For a classic French motif, embroider this free chicken weathervane pattern. The scrolling lines make it a great fit for redwork, and it will look charming stitched on a kitchen tea towel! 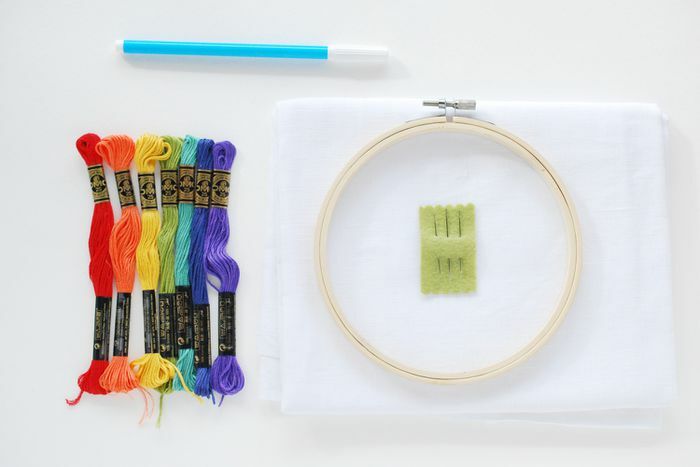 And because it only uses a few embroidery stitches, this design is perfect for those who are just getting started with embroidery. 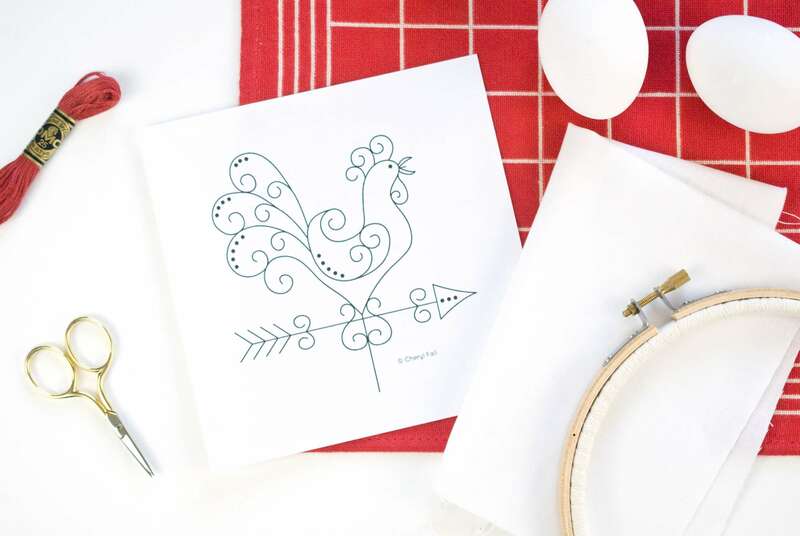 This adorable redwork heart is perfect for hanging on the wall or door of your sewing room (even if that happens to be your kitchen or family room)! And because it's a kit, it's also a great way to jump into a redwork project without spending lots of time thinking about the supplies. Visit Cinderberry Stitches for this free Sweet & Spotty redwork pattern, and you'll also get the instructions to make the needle wallet shown! There are two circular designs in the download, so you can choose one or stitch them both. Fabric designer Tasha Noel offers this redwork hand embroidery pattern based on her fabric line The Simple Life. 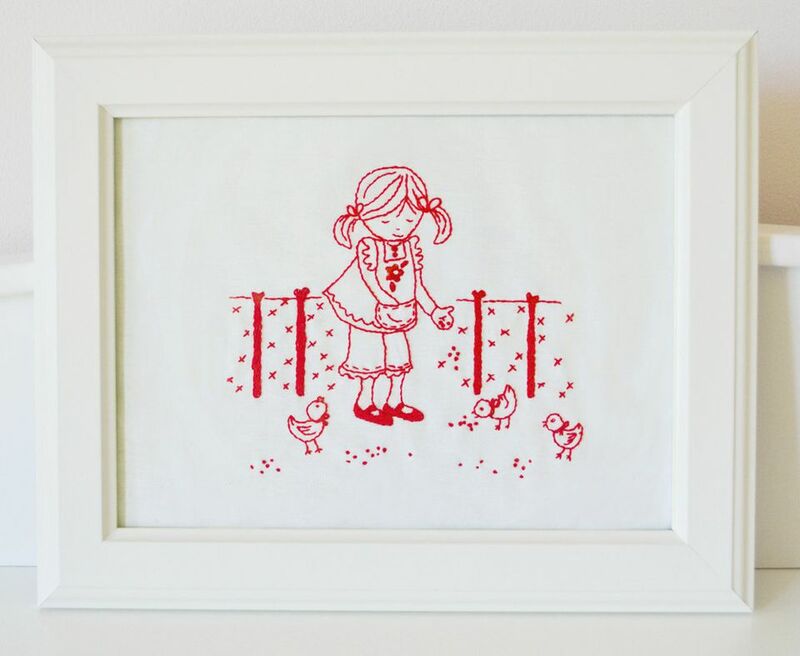 Its farm scene gives it a classic redwork feeling​ while remaining fresh and fun. Combining redwork and shadow embroidery, this free nasturtium embroidery pattern from Alex Anderson is an excerpt from one of her books and includes instructions for making a pillow. Of course, the design would look wonderful in many uses. Who says that redwork can only be red? Etsy seller Muse of the Morn recommends using her Stitching Bliss series of a mandala and zen stitching patterns for redwork and cleverly shows them embroidered using DMC Color Variations threads. So while technically worked with just one color of thread (as redwork is), you still get a beautiful blend of coloring. For a huge selection of redwork embroidery patterns, look no further than Bird Brain Designs. Most are traditional in style, and there are lots of options for both free and reasonably-priced patterns for download. The cherry pattern on the left is one of the free fruit and veggie patterns that are perfect for tea towels, and the Jacobean floral scroll pattern includes four designs and ideas for projects. Mary Corbet of Needle 'n Thread offers this free bird on a branch redwork pattern based on a Quaker design and has a quilt-like design as well. She suggests a few basic stitches for the center of the pattern, while the borders give you room to play with bold or more advanced stitches.